Chocolate Fondant | Pretty. Simple. Sweet. Chocolate fondant is my all-time favorite dessert – comforting, rich, and gooey with an irresistible molten chocolate center. 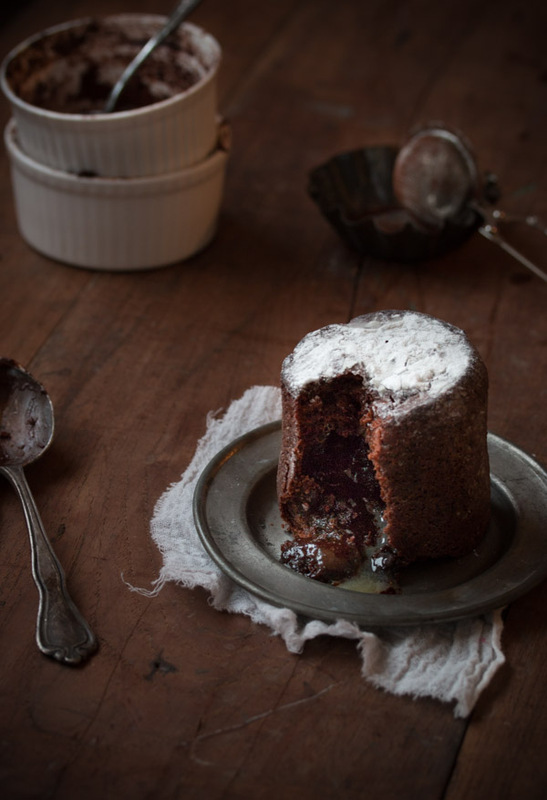 This dessert goes by many names: molten chocolate cakes, fallen cakes, lava cakes, or fondants. It has always been my personal favorite, and if I was to stay on a deserted island for a few hours and asked to bring just one thing with me, it would be a chocolate fondant. Hopefully I would be able to bring two things so Erez could come, too. That would be even nicer. Since I’m used to getting pretty bored pretty fast from pretty much everything, I have no idea how this dessert has stuck as my favorite for so many years. If it appears on a menu at a restaurant or café, then I just have to order it every. single. time. It drives everyone crazy. There is another reason why I love molten cakes. They always come in an individual size, and although I like to believe I have quite a generous heart in general, when it comes to sharing my desserts, I can get pretty nasty. Just ask Erez, he learned that the hard way. 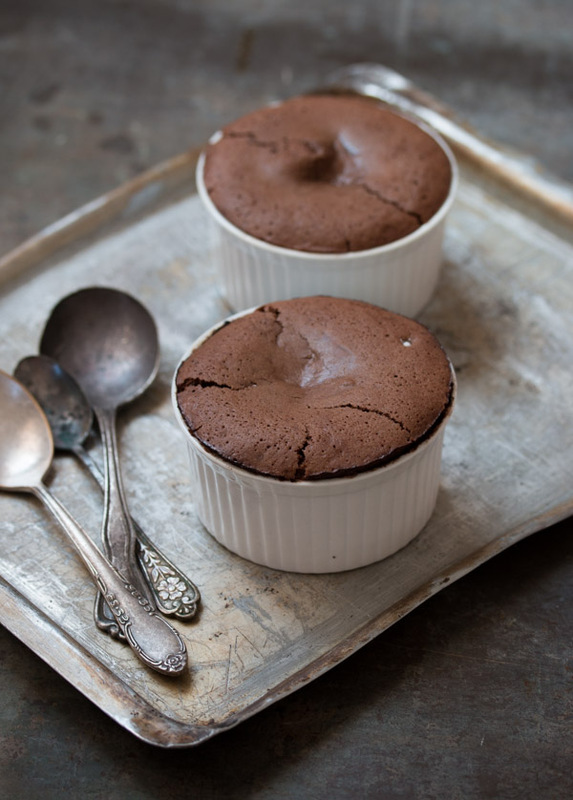 There are so many chocolate fondant recipes out there, and I’ve tried them all. I came to the conclusion that I will never have a favorite because they’re all so good, each in their own different way. You know, like children. I did notice, though, that most of my trustworthy taste-testers especially like the recipe I’m sharing today. The cakes are neither cakey nor dry. The recipe calls for a small amount of flour, so the fondant is super fudgy. It’s rich in taste and chocolate flavor, and every bite is dreamy, delightful, and decadent. To make this recipe simple, I whisk the eggs and sugar together by hand just until combined and slightly foamy, but sometimes I use an electric mixer to whisk them for 3 minutes until light and fluffy in order to create an airy, velvety, mousse-like texture. Since this dessert is all about the chocolate, using the highest quality will make the tastiest cake. 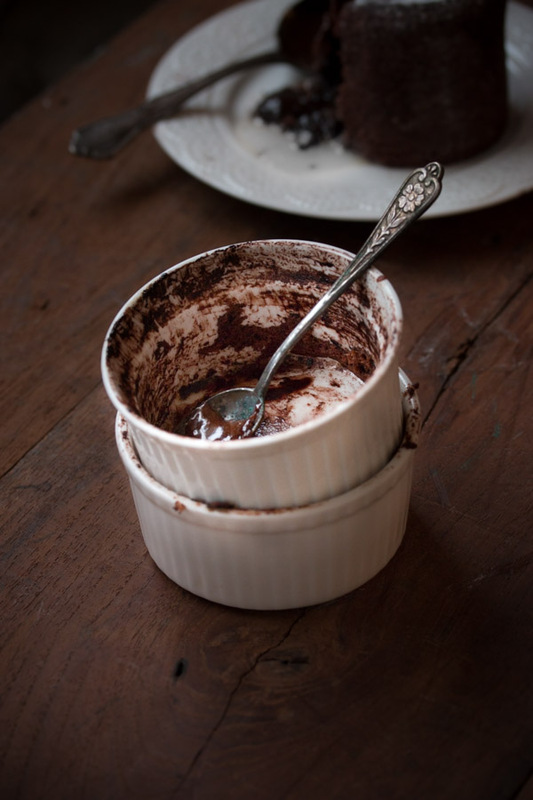 If you like fondants with a very runny center, you might have a hard time taking it out of the ramekin because it’s soft, so instead, just serve it in the dish. I have one more fun tip to share with you. 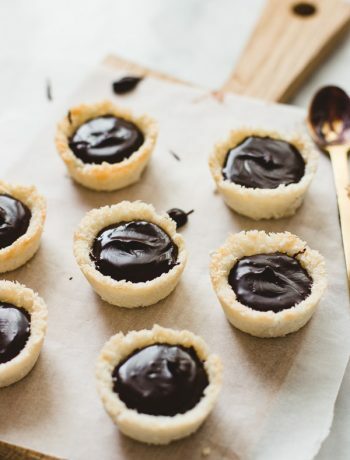 You can add anything from peanut butter to Nutella to salted caramel to chopped white chocolate (not chocolate chips as they won’t melt) to the filling. Simply fill 2/3 of your ramekins with batter, place 1 heaping teaspoon of the spread you’re using or 2-3 chocolate cubes in the center, then fill with the remaining 1/3 batter. Now, timing is everything in life, right? That includes baking these babies. Making a fondant is simple and doesn’t require any special skills, but if there’s one challenging thing about them, it’s TIMING. 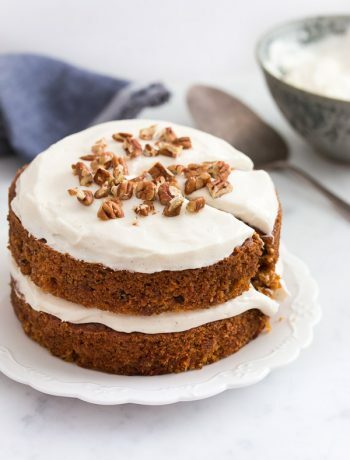 Even 30 seconds can make or break these cakes. An over baked fondant will become dry and more like regular (and not very tasty) cake. If you have never tried a fondant before, I strongly suggest testing one in the oven before putting them all in, just to see how long it takes it to bake to the perfect texture. It will probably take 1-3 tries to figure this out, but once you get it right, the reward will be enjoying this for a lifetime. I take my cakes very seriously, as you can probably tell. Whether you’re entertaining and want to show off you skills, or you’re having a life crisis, this will be the perfect cake to make. Especially for the latter. Preheat oven to 400F/200C. Generously butter 6 ramekins and dust with cocoa powder, tapping the ramekins slightly to remove any excess. Melt together chocolate and butter, either in the microwave in 20-seconds intervals or in a heatproof bowl set over a pan of gently simmering water. Once melted, remove bowl from heat and set aside to cool for 10 minutes. In a small bowl, whisk together eggs, egg yolks and sugar until well combined. Add the egg mixture to the chocolate mixture and mix until combined. Add vanilla, salt, and flour and fold just until smooth. Divide batter into ramekins and bake for 9-12 minutes, until a thin crust has developed on top of the cake and the center jiggles slightly when gently shaken. If you want to loosen cakes from the ramekins, immediately run a thin knife around the edges and invert onto serving plates. Let the ramekins sit for a few seconds, then gently lift them off. Serve immediately. Dust with powdered sugar or cocoa powder or serve with whipped cream or ice cream if you like. Now this looks like a piece of heaven! Hahaha I HATE sharing my desserts too! Anything can be shared… but my cake? Never. The fondant looks incredible! I am so impatient though haha – maybe I’m best sticking to mug cakes? I am craving something hot and chocolate-y and seriously gooey right now! Hi Tash! Good, I’m glad I’m not the only one 🙂 And whenever I’m craving something chocolate-y I make this! I just whisk the eggs and sugar by hand for a minute or 2 instead of using the mixer (I can be so lazy sometimes!). Hi Shiran! What size of ramekins do you use here? Thanks! 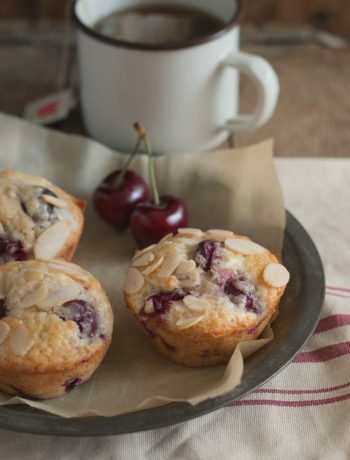 Hi Alena, you can use 4-ounce ramekins to make about 6 cakes (and bake 9-12 minutes) or 6-once ramekins to make 4 cakes (and bake for 12-14 minutes). You can bake it in any mini baking dish that’s about the same size.